KATHMANDU, April 16: The Ministry of Industry has introduced an ambitious plan that includes employment generation in the country in a decade. 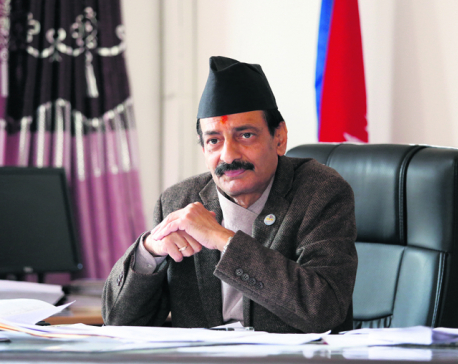 The plan was issued by an internal meeting of the Ministry held under the chairmanship of Industry Minister Nabindra Raj Joshi on Sunday. Other issues that the plan includes are creating an environment conducive for attracting foreign investment by prioritizing economic improvements, use of domestic raw materials and development of small and cottage industries forest produces. The meeting also decided to provide subsidy for using technology and purchasing reprocessing machines and to launch special programs for the development of infrastructure and provide access to home-made products for Nepalis living abroad. Likewise, the meeting decided to lobby with the Ministry of Finance for additional Rs 3.5 billion needed for the Ministry, apart from its regular budget. Addressing the meeting, Industry Minister Joshi said the government has a policy to attract new industries and protect old ones.